e-ville "shopkeeper" Ville Majanen, together with his team, cares for each and every order. E-ville customer service has received praise for its friendly and customer oriented approach. The ultimate aim of e-ville.com is to provide customers with quality, well priced products at the same time as providing friendly and fair customer service. As a company of Finnish origins, we strive our best to uphold this standard. The simple fact is the internet is full of web stores that use unfair tactics and provide poor, unfriendly service. We personally don’t care much for such shops, and have made a point since our humble beginning to not follow such an easy path. We offer all our customers a 30 day money back guarantee, and provide friendly and flexible methods of returns. We are also extremely flexible with regards to product warranties, so feel free to contact us if there is any doubt. We make an effort to respond to all queries within 24 hours as a rule of thumb, although more than likely you can expect even faster responses from one of our helpful customer service members. We also feel that the price of the product should not fund expensive branding and advertisement campaigns that do not actually add to the value of the item in any way. We achieve this by buying directly from the manufactures, removing the middlemen and passing off the savings not only to you the customer, but to the manufacturer as well. In conclusion we believe our Finnish approach leads to happier customers, affordable prices and staff that enjoy what they do. Ville Majanen, a humble Finn, moved to Hong Kong initially to carry out his study abroad period of his BBA, at the Hong Kong Polytechnic University back in 2006. Feeling so far from home, Ville decided to buy himself a web camera from a local electronics shop so as to stay in touch with friends and family in Finland. Ville was amazed that such a nifty camera of good quality only cost him around 80 Hong Kong Dollars, a bargain if ther ever was one. This was to be the first purchase of what would later turn e-ville into the shop it is today. A week later Ville happened to pass by the very same electronics shop. He thought that he should buy a few extra web cameras to try and sell. If he wouldn't be able to sell them, he would give them out to his friends. Several months passed by and Ville had all but given up on being able to sell his web cameras. However he remembered a Finnish site similar to E-bay that his brother had used years ago to sell items online. Ville immediately placed the cameras on sale and sold every piece, even turning a small profit! Spurred on by his success, Ville spent the following weeks wandering the bustling streets of Hong Kong in search of other electronics and goods to sell. He had to do this in the evening however, as by this time Ville was conducting his internship for a German company, KarstadtQuelle. This was because Ville had made his mind up that he would like to stay longer in the exotic city of Hong Kong, afer completing his study abroad period at the Hong Kong Polytechnic University. 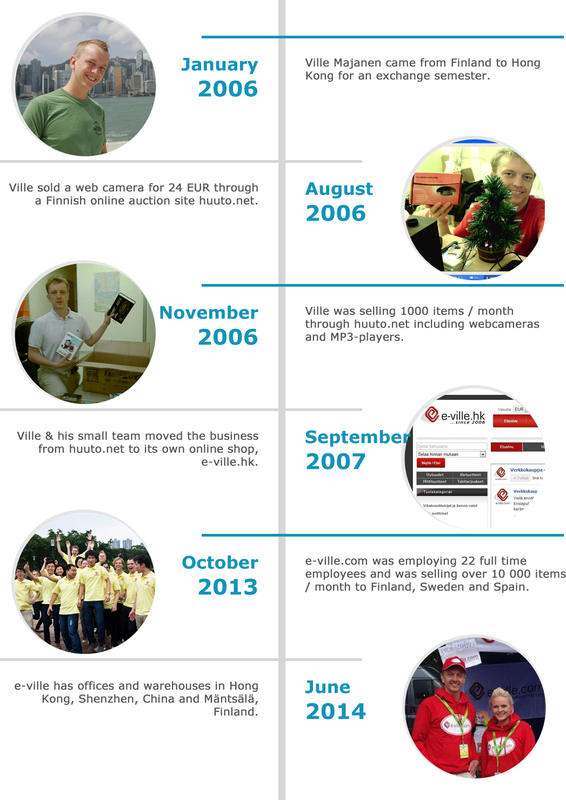 Slowly but surely Ville built up a fair amount of products which were selling quite nicely online. From Jordan to Mong Kok, Ville wandered around inspecting the wares that were on sale in these bustling bazaars. It came to his conclusion that he was truly living at a meeting point between East and West, where all sorts of gadgets and gizmos could be found. No doubt you need to haggle, it is the way of doing business here and is expected as a part of the game. Some traders would be offended if you didn't! The picture on the left is of the first ever product that was sold by Ville, back in the day for sure! During this humble stage of its life, e-ville was run in a much more spontanious, and adventurous manner, Ville had to learn most of the trade the hard way, and there were many challanges and obstacles that had to be overcome. As time went on, Ville’s internship in KarstadtQuelle was coming to an end. He had been spending all of his spare time developing his sales on the Finnish auction site, which had converted to some permanent customer and supplier relationships. Ville wanted to continue developing his business full time and the idea of setting up an online store started to take form. It just so happened that Jussi, an old friend of Ville's, was at the same time looking for an internship and happened to call Ville one evening. The two friends started joking about Jussi coming to Hong Kong to help Ville develop the newly found online store e-ville. This turned to reality and after some planning Jussi moved to Hong Kong to become the first intern to work at e-ville.com. Step by step e-ville.com has been developing from it's small beginnings. The team has been growing steadily as have the facilities. What started in a small room in a shared apartment has moved from office to office, to the current state of having offices both in China as well as Hong Kong. At current the store has over 1000 products and is growing day by day. "I owe gratitude to all the customers, partners, employees, friends and relatives for what e-ville has become. Lets build e-ville into the best e-store there is. Both Finnish and international customers have accepted e-ville as one of the places to shop in. 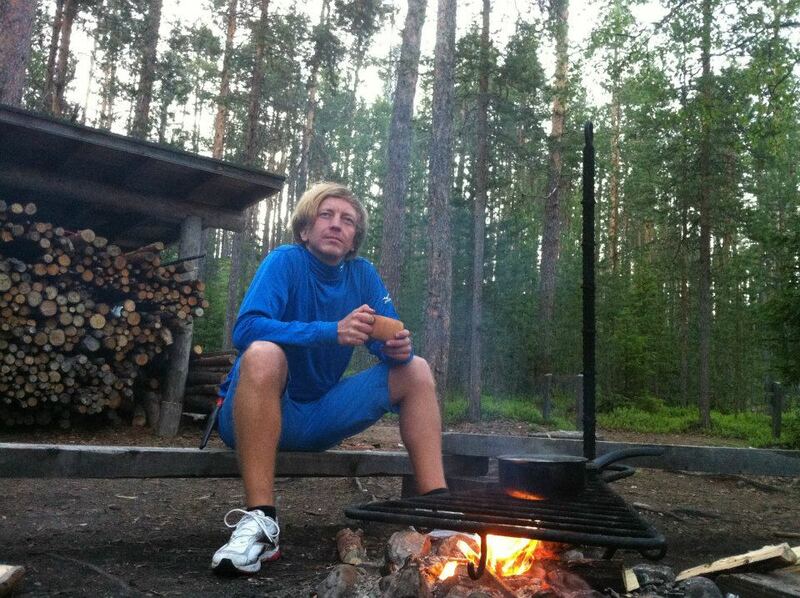 Just in Finland we have had more than 1.8 million visits from a country of only 5.3 million people. e-ville.com newsletter has been subscribed by more than 25 000 people. With the help of customers and their ideas our product lines have grown to hold more than a thousand items and we have delivered more than a hundred thousand orders worldwide"
Nowadays e-ville has had more than five million visitors and the amount of orders packed, labeled and sent is growing each month. The team has grown to include close to 20 full time staff from several cultures, and shipments are made all over the world. "e-ville is a company that is made to move forward. We are not content with the success gained so far, but aim to offer more versatile and affordable items to our customers every day. You can help us with this as well by suggesting new items, by registering to the shop or becoming a fan on Facebook." Lets make e-ville the best store there is! As you may have noticed, our products come at very affordable prices, which is due to several factors. Firstly, as a company situated in Asia, we are capable of sourcing our products from where they are made directly. Being located in Hong Kong, we are closely situated to most of the major producers of Southern China. Our products do not have extra incurred costs due to middle men, or from holding large inventories. Our special arrangements with our suppliers allow us to buy large quantities on demand. Also, costs of doing business in Asia are much more competitive than most of the rest of the world. All of these factors lead us to pass on huge savings to you, the customer! Cheaper prices does not mean poorer quality though. Before we add an item to our store, we test them thoroughly. By keeping up tight quality control we can ensure that our current and future items are of high quality. We do internal testing as well as visit manufacturers to overlook the process of manufacturing the products. Each of our items has a product specific warranty. Products are sourced by our highly skilled team of professionals. However if you can't find an item which you would like to see in our shop, don't hesitate to contact us. We reward ideas! If you want to order more, you can get additional discounts. We offer bulk discounts for corporate orders, and can deliver items both in bulk as well as to individual addresses if you wish to order gifts. You can also receive discount vouchers in our newsletters, on Facebook, Twitter, or through contests. We also reward customers who write product reviews, or by adding photos and or videos. Also for every purchase, you will receive Diel -points, which you can convert into a discount voucher. If you get a total of 125 points, you can become a gold member and get 5% of all prices as well as recieve other benefits. E-ville serves companies in addition to B2C sales. Strong contacts in Asia, knowledge of Asian business culture and local staff are just some of the strenghts that e-ville possesses for consulting, sourcing and dropshipping. ville.majanen @ e-ville.com for more information.